Prices for single family homes in metropolitan Orlando outpaced the rest of Florida during this year. The median price in Central Florida was just under 175,000 for October– 28 percent higher than the prior year. 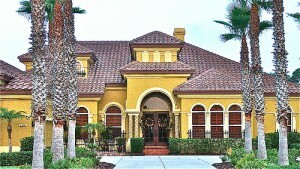 Home prices jumped up by 17 percent across the Sunshine State during that same time. Florida Realtors Chief Economist John Tuccillo predicted that home prices in and around Orlando would approach their historic level during 2014. Home values would need to increase by nearly 5 percent during 2014. University of Central Florida professor Sean Snaith explained how uncertainty surrounding unemployment and the Affordable Health Care Act might make potential buyers a little less likely to undertake a mortgage. Still, he does predict housing starts to do well throughout Florida for at least the next four years. Employment opportunities may be a leading deterrent in the real estate market during 2014. Florida is not the only state with deflated growth projected for 2014. 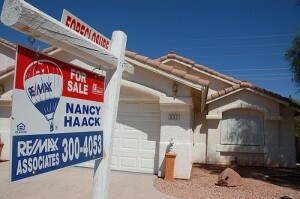 Home prices across the U.S. are expected to grow at a reduced rate compared to this year. The Chief Economist for Zillow – Stan Humphries – thinks that average home prices will grow by 3 percent next year compared to 5 percent in 2013. Humphries also has reason to think that homeownership will reach a 20 year low next year (below 65 percent). During the summit, he talked about how unreasonable home appreciation expectations and looser lending standards led to a level of homeownership that wasn’t feasible for the long run. 2014 Homebuyers may find that applying for a mortgage rate is easier, but the interest rate will be higher. 30 year mortgage rates are predicted to break 5 percent over the next 12 months. They fluctuated between 3 and 4 percent for most of 2013– only about half of historic rates. Lenders are expected get more aggressive when it comes to securing home buyers searching for a loan, since the mortgage-refinance market is predicted to lose more value in 2014. Rates in any case should continue their climb back to normal.